When you hear the word berries, you’re likely to think of summer and desserts. Of course berries are synonymous with summer, since that’s the time of year that they are usually in season in Canada. 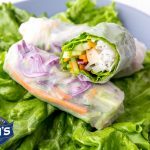 However, thanks to longer growing seasons, and imported produce from warmer climates, you can enjoy fresh berries all year long in both savoury and sweet recipes. 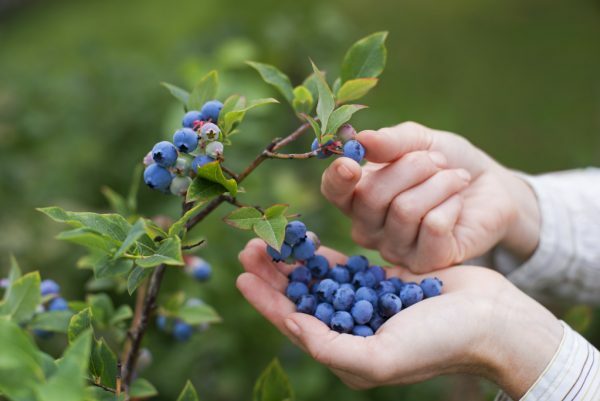 There are several types of berries that grow across the world, but the most popular varieties in Canada are Strawberries, Blueberries, Raspberries and Blackberries. 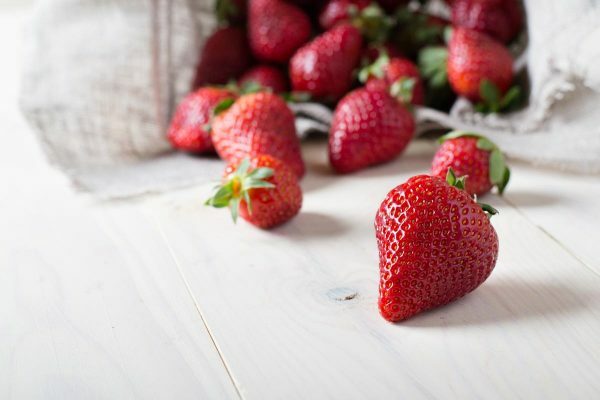 Strawberries are red, cone-shaped fruits with a seed-studded surface. They are juicy, sweet and give off a sweet aroma when ripe. 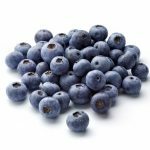 Blueberries are small firm round berries that have a bluish-black colour. The skin is smooth and can have a silvery frosted appearance. Blueberries are also juicy and sweet with a slight tanginess. 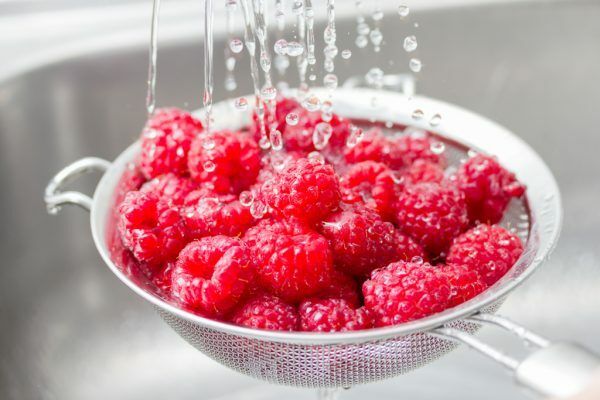 Raspberries are made up of many connecting sections of fruit (called drupelets) around a central core. The most common variety is reddish-pink in colour, but there are also black and golden varieties. They are soft in texture, have many small seeds, and are sweet-tart in flavour. 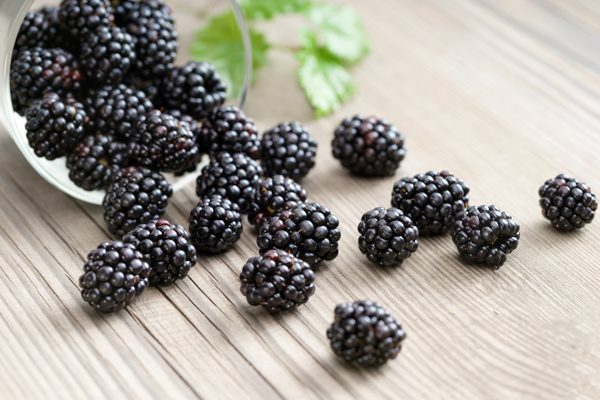 Blackberries are also made up of many connecting drupelets, and are the largest wild berries available. They are dark purple to purplish-black in colour, and have a deep sweet-tart flavour. Before storing, remove any crushed or mouldy berries to prevent the rest from spoiling. When shopping in the store, give the container of fresh berries a shake to see whether they move freely. If they don’t, this may be a sign that they are overly soft, damaged or mouldy. Berries do not ripen once picked, so be sure to purchase ripe berries! Don’t store berries in plastic, as this traps the moisture and causes them to spoil quickly. 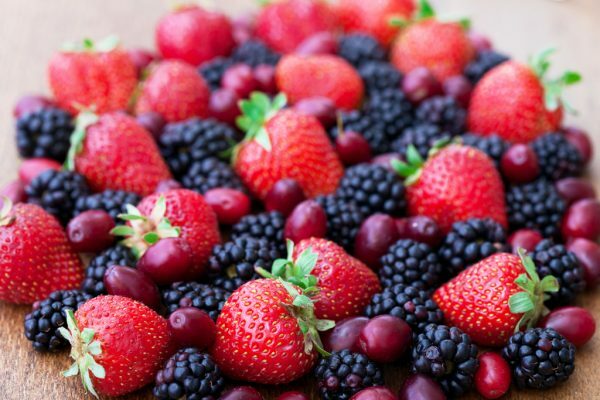 Don’t wash your berries before storing, as this can make them spoil faster. Enjoy Berries at Breakfast, Lunch and Dinner! While all of the berries we talked about are delicious on their own, they are also tasty in a variety of sweet and savoury dishes. Why not challenge yourself to include berries in every meal for a whole day? Here are some ideas to get you started. 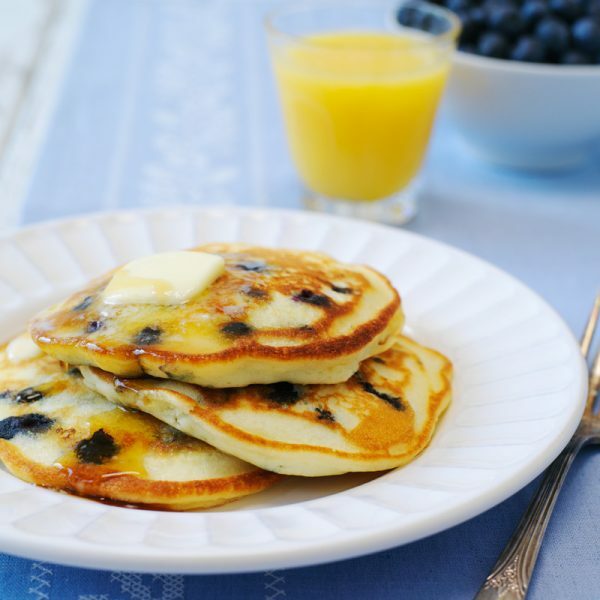 These fluffy Blueberry Buttermilk Pancakes are a classic way to start the day. Just top with a little maple syrup, and a side of bacon if you’re feeling decadent! 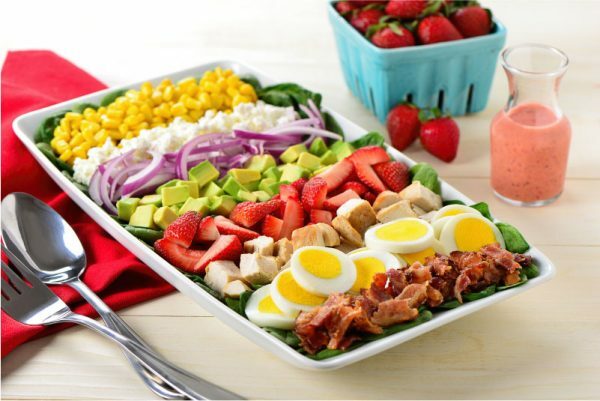 Juicy strawberries add a burst of freshness to this classic salad! 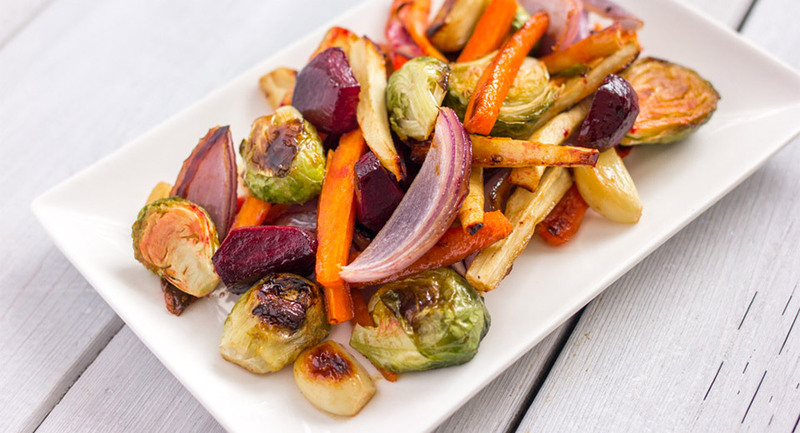 What an easy way to get more fruits and vegetables into your day. 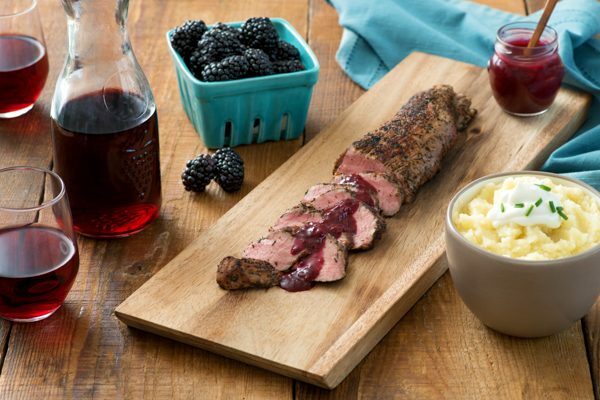 This Blackberry Wine Sauce shows off how well berries pair with savoury foods! It’s great on pork, but also on chicken and fish. 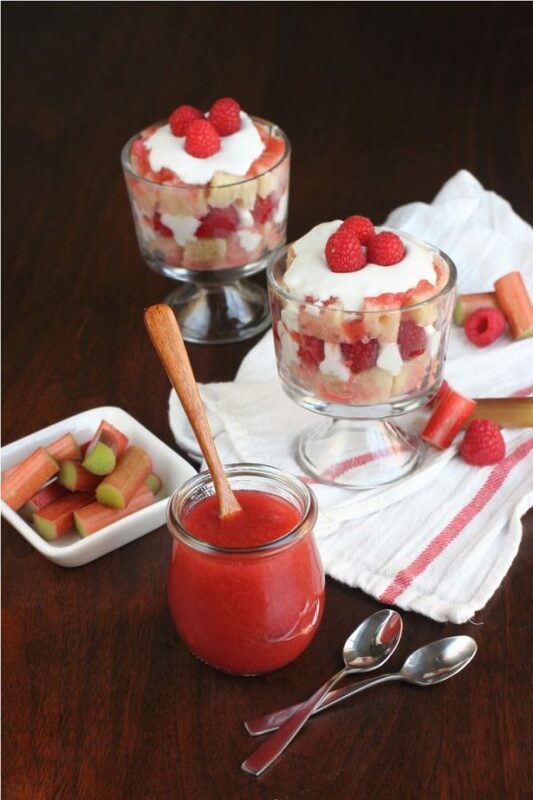 End your day on a sweet note with these cute Rhubarb Raspberry Trifles. Made with a layer of fresh raspberries, a tangy rhubarb compote with ginger and topped with a creamy coconut topping, you’ll want to make this dessert again and again!